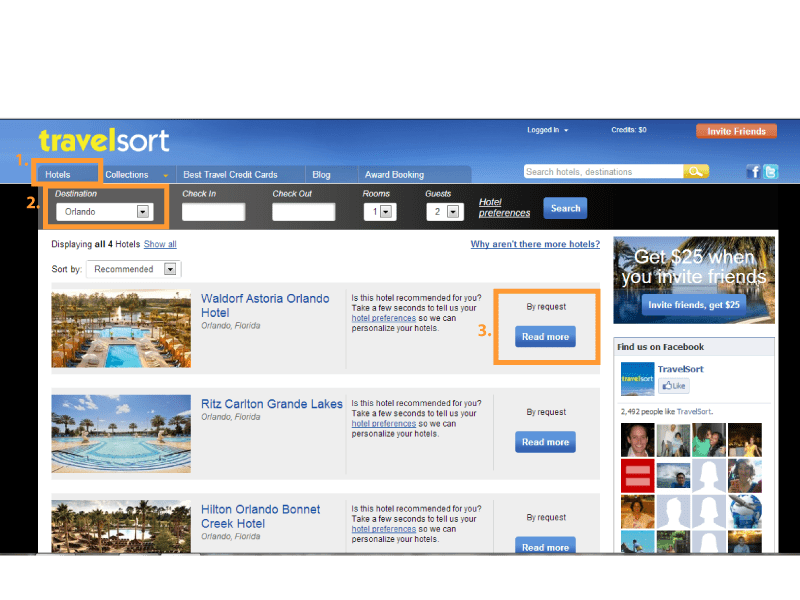 So, I recently became aware of a site that offers significant discounts on both Hilton Bonnet Creek and Waldorf Astoria Orlando; TravelSort.com. The discounts range from 10-40% off, and vary based on a number of factors. TravelSort recommends that you purchase as far in advance as possible for the best rates. I was recently quoted $199/night in early June for the Waldorf Astoria. The lowest price I found elsewhere on the web was $242 for the same dates. TravelSort also discounts high-end hotels around the world. It should also be noted that rewards points like Hilton HHonors will not accrue on these bookings. But, I’ll take big discounts over hotel points any day! The Waldorf Astoria is in direct competition with Disney’s Grand Floridian, the flagship resort at Walt Disney World. Both resorts are located within Walt Disney World property. TripAdvisor lists the Grand Floridian at 4.5 stars, whereas Waldorf Astoria is listed at 5 stars, and actually ranks much higher on the site (at least at the time of this writing). The lowest price I found at Disney’s Grand Floridian for the same early June dates was $433. Booking anytime at The Waldorf Astoria equals savings over Disney’s Grand Floridian, as rates are typically much lower. But, booking with TravelSort could equal HUGE savings over Disney’s Grand Floridian. There are some advantages to Disney’s Grand Floridian such as being directly on the monorail to Magic Kingdom, and overall being closer to everything that Walt Disney World offers. For the price, I’ll gladly drive the extra few minutes! I personally haven’t stayed at the Waldorf Astoria, but hope to rectify that in the near future. I did stay at the Grand Floridian in 2009, and the experience wasn’t as stellar as I hoped. This might be the rare occasion where I actually recommend a non-Disney hotel for a Walt Disney World vacation. TravelSort is an invite-only site. I signed up from the homepage, and it took roughly a week to be approved. If you go through my referral link it should hopefully make the wait shorter, and could save you $25 on your first booking of 2 nights or more. Once approved, you’ll head to the homepage. There’s a lot going on, but we want to get to the good stuff, hotel savings. Click on the “Hotels” tab in the top left corner. Click on the “Read More” button. From here enter the dates you’d like to stay and hit the “Request” button. A personal e-mail will be sent containing the rate information, and booking options.